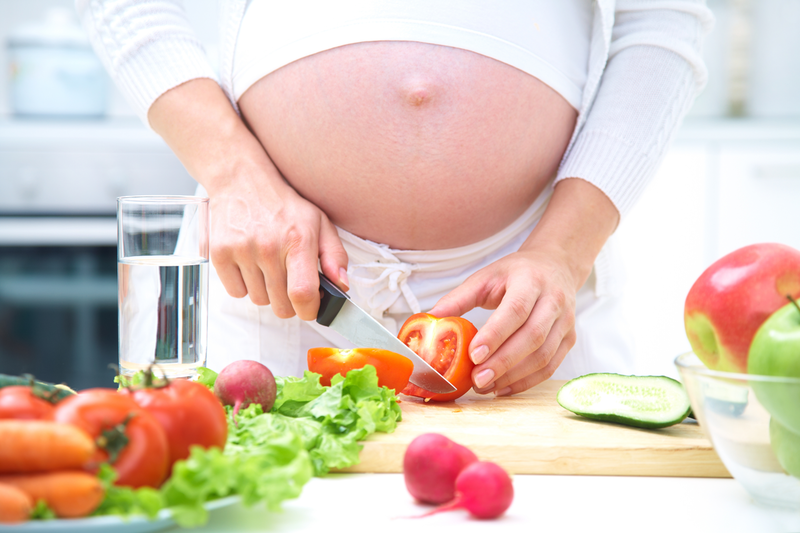 Cooking for Two, an interactive cooking and nutritional class will be offered for expecting, pregnant and new mothers. This dynamic class will be broken up into three important stages; Cooking for Pregnancy (nutritional needs during pregnancy); Cooking for Mom (postpartum and inter-conception needs); and Cooking for Baby (healthy meals for introducing first foods). This class will educate on the importance of healthy nutrition, physical activity and exercise, cost-effective healthy eating, food budgeting and breastfeeding nutritional benefits. Come learn alongside other conscious (and busy!) mommies and daddies who want the best for their babies. You’ll be surprised how quick, easy and cost effective making your own baby food can be. It is more and more clear that today’s conscious parent wants their child to consume food that is not processed or packed with preservatives and other unrecognizable ingredients. Making your own baby food is nutritious and is a great way to lay the foundation for feeding your growing baby. This event is brought to you by Down to Earth, Magically Rooted and Healthy Mothers Healthy Babies. Magically Rooted One SMART Ohana at a Time is a company dedicated to helping families learn about smart and healthy lifestyle choices, Christiane is a dedicated Mommy, Educator, and Coach and one of her goals is to help families discover how simple it is to make their own wholesome baby food. We strive to empower parents with education and tools that help them introduce all-natural concepts into their family lifestyle – and our goal is to make this learning as simple and easy-to-integrate as possible. We’re convinced that when you see and experience for yourself how doable it is to make your own baby food, you’re going to look forward to doing it! Christiane is an Educator, Entrepreneur, Community Organizer and Coach. Her company Magically Rooted, one SMART Ohana at a Time, is dedicated to teaching families to make smart, easy and doable all-natural lifestyle essential choices. Christianeʻs mission is to empower you to reach your health and happiness goals through nutrition and lifestyle wisdom using mind-body ancient, modern and cultural practices including essential oils, crystals, sound healing, reiki, aromatouch and positive affirmations. Through her wellness consultations, non-profit community work, and small business and lifestyle coaching, she encourages you to be a dream builder to design and live a life and business grounded in self care to create and manifest abundance and happiness. Her life’s purpose is to make meaningful connections with others and loves to see others and herself successful and happy. 48 Hour Cancellation Policy for Refunds and Cancellations. Class will require reservations by at least 5 people. To make your reservation please call our Marketing Office at 947-3249 or sign up on Eventbrite. In the event of cancellation (3 days before event) everyone who signed up will be notified by email and phone. Walk-ins are welcome, however it’s a good idea to call us to make sure event is still on. Please support our programs and services by donating. Click the button to give.